Penny makes fun of having a nerdy boyfriend/friends. Someone makes fun of Penny for not being smart/knowing about nerdy popular culture. The boys make fun of themselves for being nerdy. Someone makes fun of Raj for being Indian. Someone makes fun of Howard for being Jewish. Someone makes fun of Leonard for not being Penny’s typical boyfriend-type. 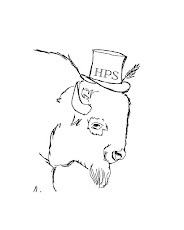 Sheldon’s hardheadedness/unusual tics leads to hilarity. Not that I’m begrudging it – Bewitched ran from 1964 to 1972, so obviously the formula works. But it does make it pretty predictable. Fortunately, TBBT’s writing is smart and funny which helps carry it along. 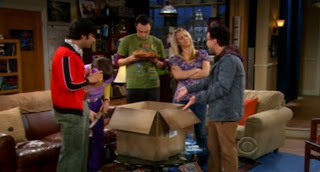 Leonard, Sheldon, Raj and Howard return home with a large box. Instead of picking up Chinese food as planned, they followed a person that they think is Adam West to a garage sale. At the sale, they bought a box of dorky miscellany for $60. 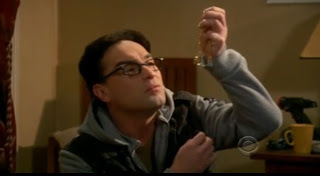 In between the Ghostbusters 2 script and the Alf doll, Sheldon finds a box containing what they think is one of the nine production rings from the Lord of the Rings trilogy. They are all obviously excited. The next day, Howard tells the others that he checked with one of his “seedy” friends, Eddie Crispo, who values the ring at $12,000. Now they need to decide what to do with it. Raj wants to split the money and use his cut to buy a jet ski, Sheldon wants to keep it, and Leonard wants to return it to Peter Jackson. Howard seems to agree with Leonard, provided he gets to be a hobbit in Jackson’s new movie. They can’t agree on the ring’s fate, so they give it to Penny for safekeeping until they can come to a decision. 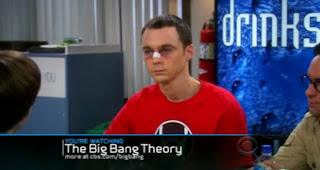 Sheldon doesn’t like this plan, and tries to steal the ring from Penny while she sleeps. He wakes her, and she accidentally punches him. Raj tries to entice the boys to sell the ring by bringing in his cousin, a lawyer. This act has the opposite effect – instead of helping the fellas come to a consensus, it makes them fearful of one another. They all try and take the ring, which has been returned by Penny. Now, they are all stuck holding the ring. They decide the last person to let go gets to decide its fate. Leonard drops out of the competition early when Penny returns home with something from Victoria’s Secret. The other three attempt psychological warfare on one another, to no avail. They fall asleep, and drop the ring. When they wake up, Leonard tells them he has shipped the ring back to Peter Jackson because it was tearing them apart. However, secretly, he has stashed it away in his room. Sheldon figures this out, and tries to take it back that night.